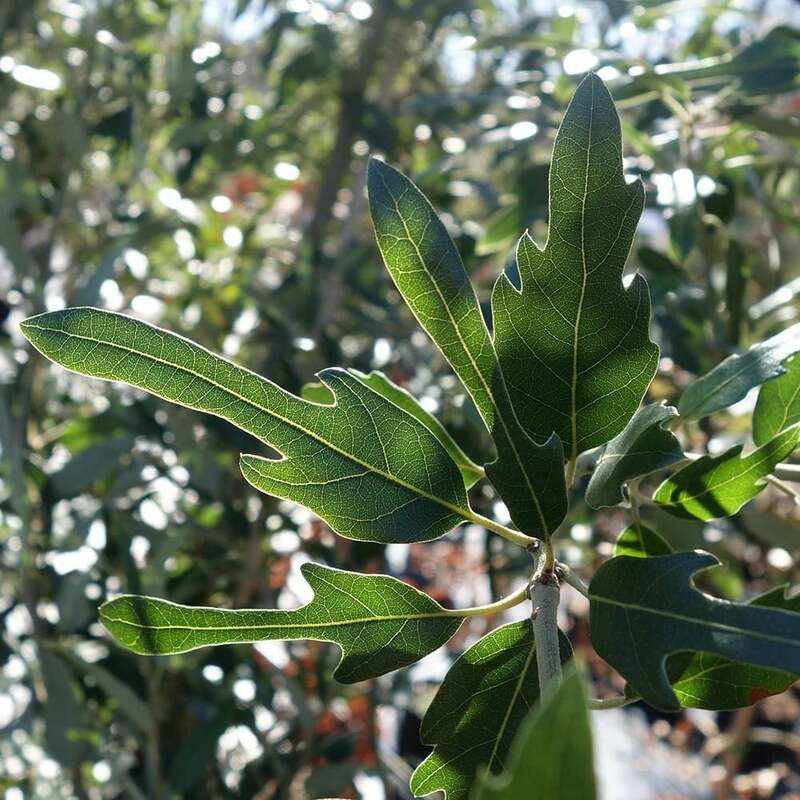 Quercus × hispanica 'Waasland' has dark green leaves in an unusual slender, lobed shape. This semi-evergreen oak tree keeps its leaves in mild winters. It displays attractive cork like bark, a feature it inherited from the Cork Oak. 'Waasland' is a fast-growing, medium sized oak that reaches a height of approximately 8 metres in 20 years and forms a rounded crown. It is hardy and tolerates chalky soil, but is best sheltered from strong winter winds. It is also advisable not to relocate this Oak tree once it has established in a spot. Soil: Tolerant of most soil types. When planting oak trees, it is important to prepare the planting area well. Pot grown oak trees can be planted at any time of the year. You will need to carry out the following to prepare your planting site. If you’re planting 'Waasland' in spring, summer or dry weather, water well and regularly for the first few months. Keep an eye on young trees and increase watering if there are extended periods of hot or dry weather. If you’re planting in autumn, you may only need to water a little. We also stock a range of irrigation kits, suitable for a variety of planting schemes. Oak trees develop a well-balanced canopy with little help from us. Established oak trees only require tidying up, by removing any crossing or damaged branches.